KCRW partners with Zócalo Public Square on a series of talks about healthcare. 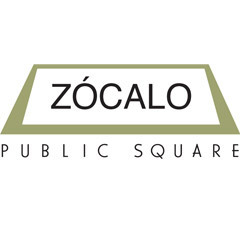 Zócalo Public Square connects people to ideas and to each other in an open, accessible, non-partisan and broad-minded spirit. Through their web magazine, lectures, panels, screenings, and conferences, Zócalo takes on ideas that enhance our understanding of community—the forces that strengthen or undermine human connectedness and social cohesion. This series is sponsored by the California HealthCare Foundation. Why Is the Central Valley Sick? A discussion of the ethical challenges involved in the coming digital revolution in healthcare. Can Childhood Trauma Make You Sick? David Lawrence: Are Primary Care Physicians Obsolete?